The desire to be clean is from God. He created clean eating, thinking and clean living. It is all His. Why do I desire to be clean: I want to be clean so I can honor my body and fuel it with pure foods. So that I can honor God with my life. So that I have the energy to do His work, to be the light. 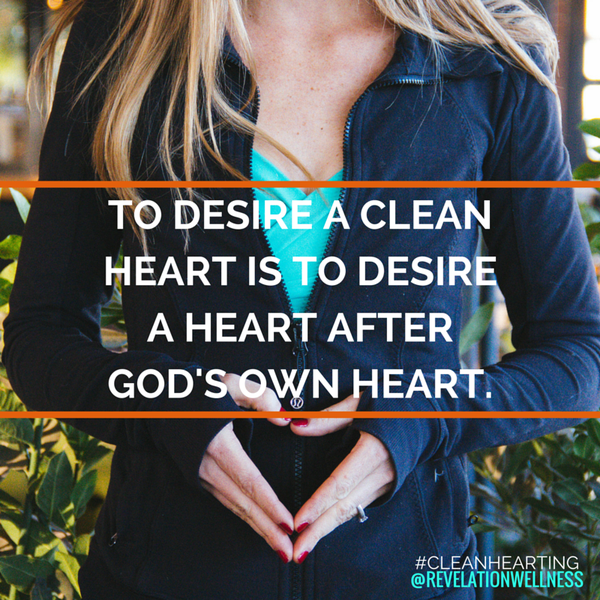 So that I can treat my body the way God says it deserves to be treated. I eat a lot of processed foods. I love pizza...like an eat it 3 times a week type of love for pizza. I'm a huge packaged cheese eater, a granola bar muncher, a veggie straw lunch packer and a canned soup fanatic. I'm flawed. Big time. BUT GOD comes in right here and stretches His hand out towards me (and you) and says He can show us how to do this whole clean eating thing His way. The good news is anything is possible with the Lord. Anything. And He doesn't want us praying big prayers with a heart that truly believes He wouldn't accomplish such big changes in our lives. "Yeah, God can do that but I don't think He would do it for me." Right? Wrong. Before my first yoga class last week I had no idea how many people to expect or what it will be like. I had a plan, though. My plan was to walk in there, let the Spirit take over and follow where He leads me. Seemed like a solid plan to me. The only problem is that I'm a recovering perfectionist. I like to plan ahead. So, I prayed that God will lead me and what to speak about and how to lead a group of people in worshiping Him with their mind, body and souls. It seemed the best place to start was with myself. So, I shared my story. I was vulnerable and transparent in front of a group of people I hardly know at all. The more broken pieces I'm in the better His light can shine through, right? Alec and I have been engaged since June 10th of last year and time has flown by so quickly since then. You can read more about how Alec proposed to me here. We agreed to wait until the summer of 2016 to tie the knot so that I could focus on finishing nursing school and taking the NCLEX. As the last few weeks of college were wrapping up, I decided to do a little crafting. I made gift bags asking my girls if they would be in my wedding. 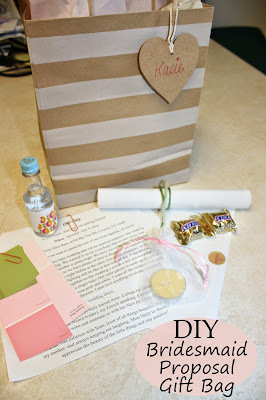 This is a great and inexpensive way to "propose" to the ladies that you want to have by your side on your wedding day. We have been getting lots of squash so far this summer from our CSA. Actually, it probably isn't "lots" to most people, but for a home that houses only two members and a chubby cat, one of which eats squash, we have been getting a lot of squash. I've been trying to eat it as fast as I can, but this week I had to get creative. I've done roasted squash in stir fry, squash on my chicken vegetable skewers and have some more to use up fast. 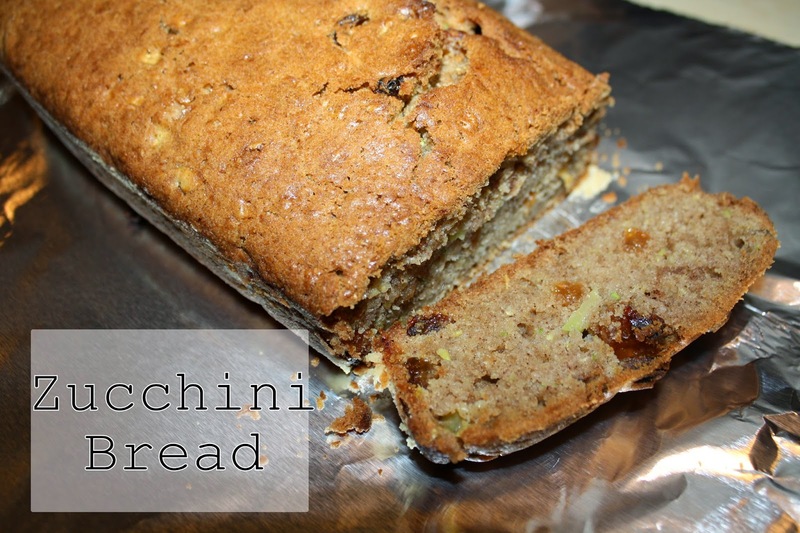 So, zucchini bread, it was.